The Juan E. Méndez Book Award for Human Rights in Latin America honors the leadership and legacy of Juan E. Méndez, a champion of justice who has devoted his life to the defense of human rights. Méndez is the former UN Special Rapporteur on Torture and current Professor of Human Rights Law at American University. The award honors an outstanding book of non-fiction, including graphic works, published in English on human rights, democracy and social justice in contemporary Latin America. Méndez’s papers are housed at Duke University Libraries’ Human Rights Archive, one of the largest collections of human rights materials at any American university. 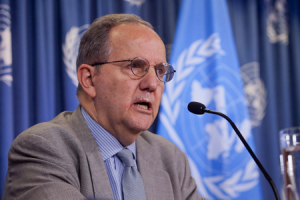 The papers document Méndez’s work as the UN Special Advisor for the Prevention of Genocide and the UN Special Rapporteur on Torture, as well as his work with the International Center for Transitional Justice (ICTJ). An original, non-fiction book related to issues of human rights, the rule of law, social and/or economic justice, and democracy, as they are broadly understood, in contemporary Latin America. Books should pertain to events that took place in roughly the past 50 years. Published in the English language by a commercial, university, or non-profit publishing concern. Books written originally in other languages and translated into English are eligible. Self-published books are not eligible. Published in the two years before the date of the award, including the year of the award. In other words, books published in 2017 and 2018 are eligible for the prize awarded in 2019. Books published in 2016 or before are not eligible. The award winner will be announced in Fall 2018 with the winner delivering a reading at Duke University in February 2019. Judges will be looking for books that offer important contributions to research on Latin America while also enriching the general public’s understanding of Latin America. The winning book will reflect high standards of originality, high-quality research and clear, compelling writing. Both scholarly and popular books are welcome. In the case of two or more authors, the prize money will be distributed equally among them. There is an award of $1,000. The deadline for entries is September 30, 2018. There is no entry form. Publishers, authors or readers may send inquiries to rights@duke.edu. Please use the subject line Méndez Book Award. The submission should contain a short description of the book and publishing details; no supporting materials or reviews are necessary. If books are short-listed, we will request copies for all judges. For books due to be published in 2018 but after the entry deadline, nominators may send a pre-publication copy, indicating the publication date. Judges are drawn from Duke University as well as journalists, scholars, writers and others who have worked in human rights in Latin America. Holly Ackerman: Librarian for Latin American, Iberian and Latino/a Studies at the Duke University Libraries, Ackerman is a member of Duke’s graduate faculty in History. She is the author of The Cuban Balseros: Voyage of Uncertainty which established the demography and social history of Cubans who emigrate by sea. She publishes regularly on aspects of Cuban, Dominican and Haitian migration as well as issues of national reconciliation. She recently participated in an invitational project of the Social Science Research Council on the Implications of Normalization of U.S. Cuban Relations. 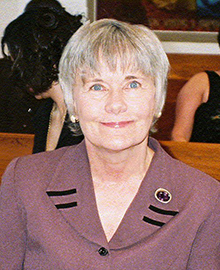 She serves as an advisor to Amnesty International USA on Cuban issues.Ackerman has curated archives and exhibits on the Puerto Rican diaspora as well as Haitian, Dominican and Cuban migration. Currently, she is working on a comparative study between Caribbean and Mediterranean Sea migration having completed field research in 2016 in Italy and Malta. 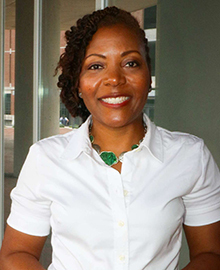 Kia Caldwell: Associate professor of African, African-American, and Diaspora Studies at UNC-Chapel Hill, Caldwell is the co-director of the African Diaspora Fellows Program, which provides professional development to middle and high school teachers in North Carolina. 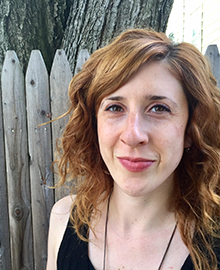 Her research and teaching focus on race, gender, health policy, HIV/AIDS, and human rights in Brazil and the U.S. Her book, Negras in Brazil: Re-envisioning Black Women, Citizenship, and the Politics of Identity, was published by Rutgers University Press. She is also the co-editor of Gendered Citizenships: Transnational Perspectives on Knowledge Production, Political Activism, and Culture. Her new book Health Equity in Brazil: Intersections of Gender, Race, and Policy was published by the University of Illinois Press in July 2017. Dr. Caldwell is also the co-editor of a recent two-part special issue of the journal Meridians focusing on Afro-descendant Feminisms in the Americas. 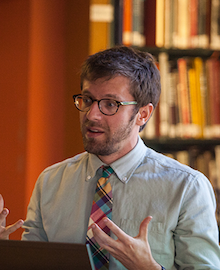 James Chappel: Hunt Assistant Professor of History at Duke University, James Chappel studies modern European history. Chappel received his PhD in History from Columbia University. His first book will appear from Harvard University Press in the Spring of 2018: Catholic Modern: The Challenge of Totalitarianism and the Remaking of the Church. Among other things, the book traces the way that Catholics came to adopt a language of “human rights,” and it explores the limitations and opportunities of religious human rights language. He is generally interested in human rights, religion, and the welfare state. 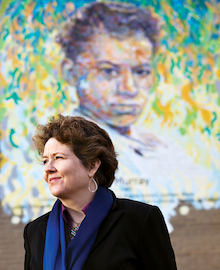 Robin Kirk (Chair): Faculty Co-Chair of the Duke Human Rights Center at the Franklin Humanities Institute, Kirk is a founding member of the Pauli Murray Project, an initiative of the Center that seeks to examine the region’s past of slavery, segregation and continuing economic inequality. An author and human rights advocate, Kirk is a lecturer in the Department of Cultural Anthropology and directs the Human Rights Certificate. Kirk has written three books, including More Terrible Than Death: Massacres, Drugs and America’s War in Colombia (Public Affairs) and The Monkey’s Paw: New Chronicles from Peru (University of Massachusetts Press). She is a co-editor of The Peru Reader: History, Culture, Politics (Duke University) and co edits Duke University Press’s “World Readers” series. Kirsten Weld: A historian of political conflict and social movements in modern Latin America, Weld is the John L. Loeb Associate Professor of the Social Sciences in the Department of History at Harvard University. Her first book, Paper Cadavers: The Archives of Dictatorship in Guatemala (2014), analyzes the discovery of Guatemala’s National Police archives — the largest body of once-secret state records ever discovered in the Americas — and its impact on the country’s postwar social reconstruction. Paper Cadavers won the 2015 WOLA-Duke Human Rights Book Award and the 2016 Best Book Prize from the Latin American Studies Association’s Recent History and Memory Section. She is currently writing a history of the Spanish Civil War’s impact and legacies in Latin America. This award began in 2008 as the WOLA-Duke book award, a collaboration between the Washington Office on Latin America (WOLA) and Duke, in recognition of WOLA’s decision to deposit its institutional papers at Duke’s Rubenstein Rare Books and Manuscripts Library. The award honors the best current, non-fiction book published in English on human rights, democracy, and social justice in contemporary Latin America. The books are evaluated by a panel of expert judges drawn from academia, journalism, and public policy circles.